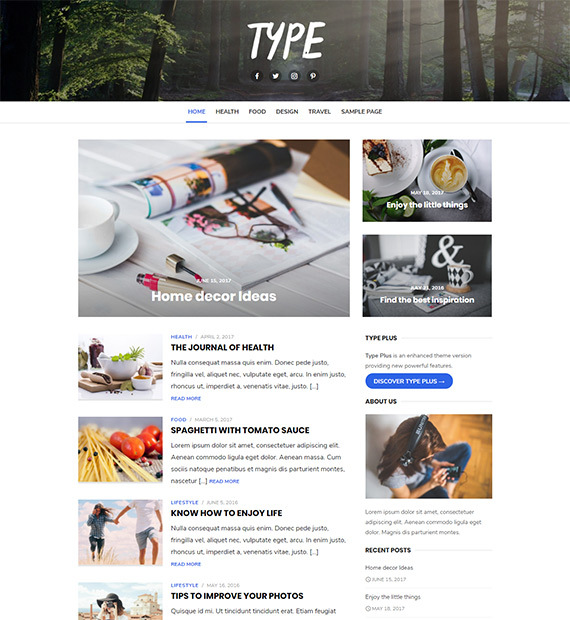 Type is a blogging theme that lets you easily customize your website and present it with a unique flavor of personality. The theme comes with Color, Background and Header customization, with options to display a beautiful header with Social media icons. Type presents itself with a responsive design with different templates for your pages and posts as well as a featured images section for your front pages. Furthermore, the premium version of the Theme comes with added benefits such as a featured slider, Magazine/Blog/Shop layouts, Google fonts and more.